I would like to see a person sitting in these chairs — holding a Rainbow Hector, of course. From a Flickr search for “hexagonal molecular chair”. 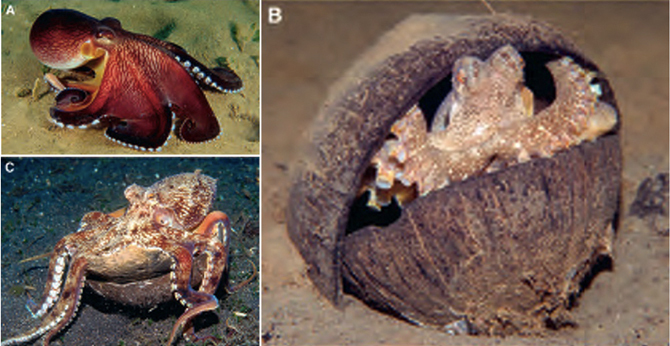 The history of the tree octopus trade is a sad one. Their voracious appetite for bird plumes having exhausted all the worthy species of that family, the fashionistas moved on to cephalopodic accoutrements during the early 20th Century. 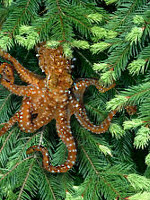 Tree octopuses became prized by the fashion industry as ornamental decorations for hats, leading greedy trappers to wipe out whole populations to feed the vanity of the fashionable rich. While fortunately this practice has been outlawed, its effects still reverberate today as these millinery deprivations brought tree octopus numbers below the critical point where even minor environmental change could cause disaster. A hectopus should be enjoyed on top of furniture such as this. I don’t know what it means… I found it via Google. Hector was my spanish hectopus since I was a baby. My Daddy used to make jingling sounds and gave him an accent.